pssst... Der Stoff für gute Geschichten. Answer the public (http://answerthepublic.com/) Sometimes you need the right questions for the best answer - this is what you get here ... Ask the Seeker. Enter your keyword and he'll suggest content ideas in seconds. Gamestorming (http://gamestorming.com/) - All you need for brainstormings ... make it fun, make it a game. Lots of ideas and tools. Mindjet (www.mindjet.com) - for all who want to organize their thoughts and ideas. And fans of mindmapping. Portent´s Content Idea Generator (https://www.portent.com/tools/title-maker): an easy and fun website which helps you to generate catchy headlines. You als can use it to brainstorm phrases and claims. Futurise - Lean Service Creation (https://leanservicecreation.com/) - Design your next business - and the Finish consulting agency Futurise will help you with this tool kit. Futurise - IoT Service Toolkit (http://iotservicekit.com/) - The Internet of Things isn´t that complicated. Make it playful with this toolkit. Futurise Augmented Toolkit (http://iadesignkit.com/) - Futurise is very generouse to pulish this Intelligence Augmented Design tool kit for product & service development with and around Augmented Reality. Canva (https://www.canva.com/) - make your content beautiful ... colors, frames, lines, deco elements. Easel.ly (http://www.easel.ly/) - Create and share visual ideas. 1000s of Reporting, Timeline, Resume and Process templates to choose from. Infogr.am (https://infogr.am/) - Charts & Infographics the Easy Way. Create and publish beautiful visualizations of your data. Interactive, responsive and engaging. Piktochart (https://piktochart.com/) - Easy-to-Use Infographic Maker.Take your visual communication to the next level, without hiring a professional designer. Venngage (https://venngage.com/) - Make Infographics For Free. Everything you need to create and publish infographics is right here. Typorama (http://www.apperto.com/typorama/) - Join photos and typo and create something new. Flat Icons (http://www.flaticon.com/) - The largest database of free icons available in PNG, SVG, EPS, PSD and BASE 64 formats. The Noun Project (https://thenounproject.com/) - if you search for an icon, check out here. Streamline Icons (https://streamlineicons.com/) - They say they are the worlds largest icon library. Don´t know whether this is true. But they do have a lot of icons! StockPhotoSecrets (https://www.stockphotosecrets.com/) is a stock photo agency specifically for small and medium-sized businesses. It aims at providing stock photo solutions to their image needs, that fit in everyone’s budget. And they help you with great tips on Visual Trends. Have a look into their Trend-Site. Unsplash (https://unsplash.com/) - Free (do whatever you want) high-resolution photos. Placelt (https://placeit.net/) Instant iPhone Mockups & Demo Videos.Thousands of Free iPhone, iPad, iMac and Macbook Mockups. Prisma (http://prisma-ai.com/) - Turn every photo into art. Gif Brewery (http://gifbrewery.com/) - Wanna make your own gif? Go the brewery. Aesop Story Engine (http://aesopstoryengine.com/) is a collection of thirteen unique components wrapped in a plugin that can be used to present rich, interactive stories or articles in any WordPress theme. Adobe Spark (https://spark.adobe.com/about/) - Turn your ideas into impactful social graphics, web stories and animated videos—in minutes. Atavist (https://atavist.com/) - Make a story, design it your way, share it. A powerful tool for media-rich stories. Explory (http://www.explory.com/) - It's easy to create a compelling story from your photos and videos — add music, narration and text. Microsoft Sway (https://sway.office.com/) - well, it´s simple a great way to create a beautiful presentation. But some may call this storytelling. Shorthand (https://shorthand.com/) - Beautifully simple storytelling. Design is key for this tool. Slidestory (http://www.slidestory.com/) - ok, giving some images a voice is not really a story ... but it is a start and it is fun. With Slidestory you can create an audio slideshow and enrich your podcast. Steller (https://steller.co/) - Everyone has a story to tell. Tell yours with photos, videos, and text. Create a multimedia story. Storybuilder (http://storybuilder.jumpstart.ge/en) - Build and Share the Next Generation Story. 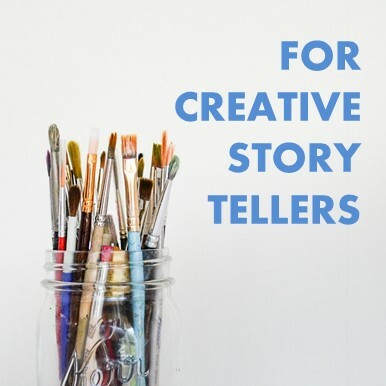 StoryBuilder allows anyone with text, pictures and/or videos to combine this content into a creative story that can be published and shared with the world. Storyful (https://storyful.com/) There has never been a better time to be a storyteller. And there is no team better suited to storytelling in the social age than the Storyful team. Storyful is very much about videos. UtellStory (http://www.utellstory.com/) - Tell stories with audio, image, video and words. Collaborate on topics. It's fun, easy and free. Storybird (https://storybird.com/) - Write. Your words. Our art. Amazing stories. Simple tools help you build books in minutes. Let the art inspire and surprise you as you write. Readers will encourage you along the way. ... a beautiful exeption among all this many multimedia. Storyboard Generator (http://generator.acmi.net.au/storyboard): create your own Storyboard. StoryToolz (http://storytoolz.com/) - this are very interesting resources for authors. Enlight Pixaloop (https://www.pixaloopapp.com/) - Breathe Life Into Your Photos ... a great App for your iphone to animate your photos. Flipsnack (www.flipsnack.com) - Digital flipbook maker for stunning magazines. Create your own magazine with a pdf or design it from scratch. Yumpu (www.yumpu.com) - The distribution of digital magazines has never been so simple ... this is Yumpu´s promise. Made with love in Switzerland. There is high enthusiasm around multimedia stories. New tools are popping up ... others are going out of business. Sorry if some of this links aren´t working - I´ll try to update this list as often as possible.